Baldur’s Gate is often cited as one of the greatest and most influential RPGs of all time, and now a lot more people will be able to play it now that it’s coming to consoles for the first time. Beamdog has announced it is bringing Baldur’s Gate: Enhanced Edition to PAX East 2019, where it will be playable on the PlayStation 4 and Nintendo Switch. 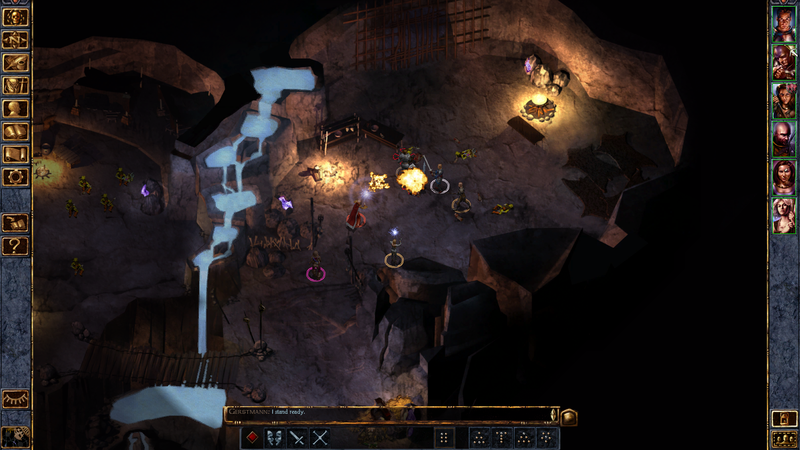 The demo will be the first time Baldur’s Gate: Enhanced Edition on consoles will be in playable form. It also includes part of the “Dice, Camera, Action!” DLC pack for the first time, which features new voice-overs and portraits from Waffle Crew. The voice and portrait for Evelyn Marthain will be featured in this demo specifically. The experience should give fans an idea of how the traditionally PC RPG will translate to consoles. While Baldur’s Gate is the only game that will be playable, it’s just one of many classic RPGs the company is bringing to new platforms. In addition to Baldur’s Gate II, other games like Planescape: Torment and Neverwinter Nights are also coming to home consoles. This will be the first time these iconic games will be playable on a platform that’s not PC or mobile. Of course, Baldur’s Gate and Neverwinter Nights are also among the first games developed by the legendary BioWare. Fans of series like Mass Effect and Dragon Age may want to finally see where the studio got its start. None of these games have a release date yet, but Beamdog has said they will release sometime in 2019. In addition to Baldur’s Gate: Ehnahnced Edition, PAX East attendees can also try out some RPGs from Square Enix. In addition, Gearbox has been putting out plenty of teases for the show, though it hasn’t announced what games it will have. It certainly looks like this year’s show will have plenty of surprises in store.